Who? All sorts of funky homosapians who enjoy great tasting funk-ti-fied sour beers in the company of other fun cats who also enjoy the wonderful beers created at Odd13 Brewing in Lafayette. 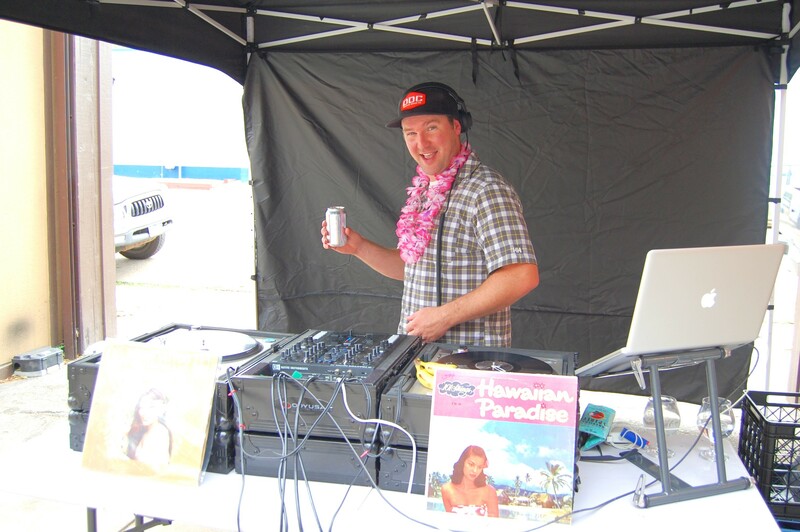 DJ WAY WAY is ready to funk you up in Old Town next Saturday. Photo by Rachel Dugas. When? Next Saturday, August 8 from noon to 11 p.m.
involves beer being poured into shoes and then carried across the sea ever-so-carefully in the name of good fun. Food trucks including Butcher and the Blonde, Basic Kneads Pizza, Suburban Wiener, and WongWayVeg can feed hungry tummies as the day melts into night. Odd13’s anniverSoury ale Hawaiian Bartender (right) and anniversary stainless steel pint glass (left). Photo by Rachel Dugas. 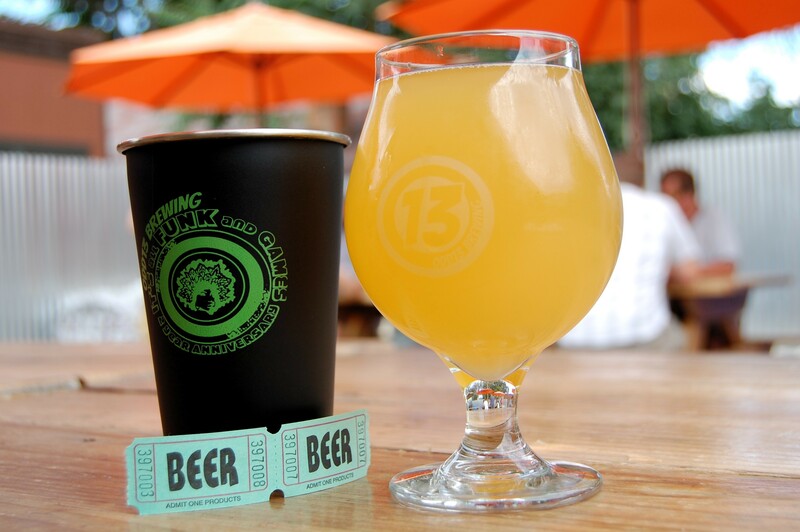 Odd13 will also be releasing special tappings all day long, including their anniverSoury Sinister Sour ale, Hawaiian Bartender, which is a dry hopped, and deliciously drinkable, perfectly sour beer with mango and pineapple to tantalize your taste buds. Hawaiian Bartender is also being canned and shipped to stores as we speak and can be bought as early as Monday. Don’t fight the funk – embrace it – have a few and enjoy the day with friends old and new. Just leave the bell bottoms at home. Or not? We won’t discriminate.